I’m not ashamed to say it: I’m a HUGE sitcom fan. Actually fan is the wrong word…I’d consider myself more of a sitcom scholar. I don’t simply passively watch comedy on television. I actively engage, research and engulf myself in the shows I’m about to list for you now. I’ve ordered (what I consider to be) my personal top 10 sitcoms of all time. Of course, this kind of list is purely subjective but I feel strongly about every single show on this list. You may notice that many of these shows are still on the air (or ended relatively recently). Let me quickly explain why I chose “newer” shows. Everyone knows Cheers, Frasier and Seinfeld - we can all agree that these shows are great. These old-school sitcoms have been in Top 10 lists for years (and for good reason). However, it is my personal belief that we are experiencing an unparalleled renaissance in comedy on television. Right now, in this moment, some of the best television of all time is being created. I’m not the kind of person to “harken back to the good ol’ days” when “comedy was more real, man.” The best comedy is being made right now! Every show on this list is absolutely worthy of being listed in the Top 10 of all time. I love Key & Peele. I’ve been following them on YouTube long before this show came into being. These two guys are hands-down some of the funniest comedians/writers/creators today. They have an uncanny ability to write clever sketches that are not only hilarious but also contain a strong social commentary without coming off as annoying. However, their show transcends sketch comedy by scattering live comedy in between pre-taped sketches. Typically, you see them explain something along the lines of “Isn’t if funny how…” or “Do you ever think about why…” and the following sketch will build and expand upon the simple bit they performed live. I love this format. It’s hilarious to watch the duo perform a bit in stand-up form immediately followed by a longer-form sketch of the same bit. 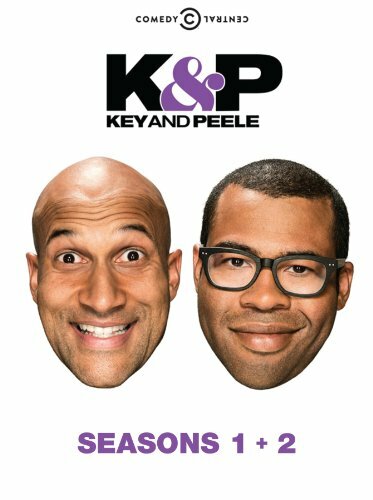 This show earns the 10th slot on this list because of it’s clever take on society, culture and race that never ceases to make me laugh. Favorite scene: The Gay Wedding Advice sketch - Peele’s “cousin Delroy” is getting married to a man and the Johnson family invites Gary (Key), a gay man, over to give them advice on how to handle the wedding. Watching Gary struggle to tell this family that “a gay wedding is no different than a straight wedding” is brilliant. Coming in at number 9 is Andy Samberg’s post-SNL project. I loved Samberg so much on SNL both for his live sketches and Digital Shorts, so I was highly anticipating Brooklyn Nine-Nine. I was not disappointed at all. Every character on this show is jaw-droppingly funny and the situational humor is on point. 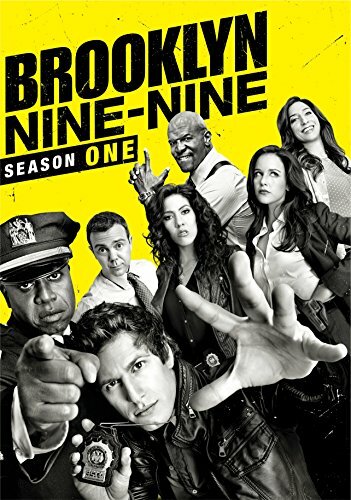 The constant clashing between the wise-cracking Jake Peralta (Samberg) and the ultra-stern Captain Holt (Andre Braugher) is what makes this show tick. Although I’d have to say my favorite character is Gina Linetti (portrayed brilliantly by Chelsea Peretti). The fact that she works in a police department juxtaposed with a total disregard for her job is perfect comedy, in my opinion. Favorite scene: In the pilot, Gina agrees to tell the Captain the deal between Jake and Amy (Melissa Fumero) on 6 hilariously ridiculous conditions. The U.S. version of the The Office is number 8. 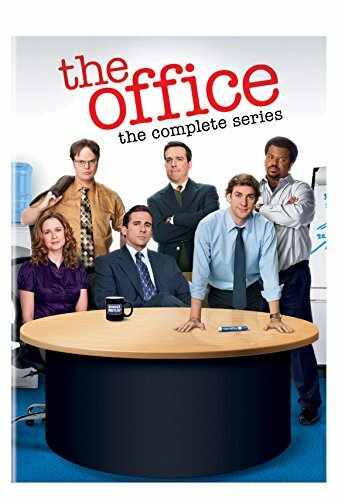 The single-camera, “mockumentary” style of videography makes The Office great because it gives off the immediate perception of being a show about office normalcy. As the show goes on, you begin to realize just how abnormal the characters really are and these realizations are what make me love The Office so much. The top-tier writers make this show quite possibly one of the smartest shows to be on television in recent years. What makes The Office so great is the simple fact that watching the show multiple times reveals new information and new jokes each time that constantly keep me satisfied, laughing and smiling. Favorite scene: Season 1 Episode 2 when Michael tries to encourage diversity in the workplace by having everyone draw a random race out of a hat, tape it to their head, then treat everyone like the race they have on their head. The extreme ignorance and misguidedness of this made me laugh for literally days. I still laugh thinking about it, actually. 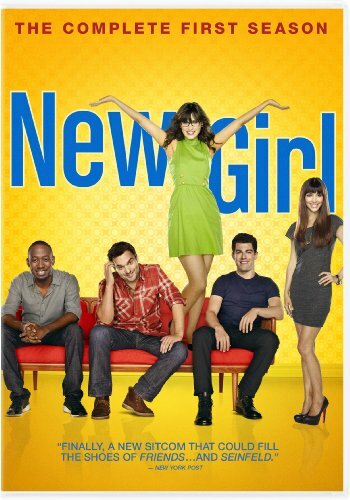 The pilot episode of New Girl consists of Jessica Day (played by the ever-adorable Zooey Deschanel) catching her boyfriend cheating, moving out and starting a new life in a new apartment with three other single guys as her roommates. Right off the bat I’m hooked because this situation spells certain disaster and comedy. What I like most about New Girl is how you have to pay such close attention to catch all of the little minute jokes that fly by as characters whisper them off-screen or mutter them in the background of a scene. Those little bits make the show. Beyond the humor though, New Girl has a definite “soft” side that really humanizes the characters and the show as a whole. Plus, Prince made his first-ever television cameo in Season 3…enough said. Favorite scene: One of the post-credits scene in the first few episodes of Season 1 where Schmidt keeps walking in the door in decidedly “douchey” outfits and has to keep putting money in the “douchebag jar”. Unbelievably funny and hits close to home for any college student or recent graduate like myself. We all know that there are plenty of sitcoms that are based around a group of attractive twentysomething friends living life in a big city. This format can seem a tad trite in some instances, but not so with HIMYM. I partly put this show in the number 6 spot because it was the first sitcom I watched chronologically and was a gateway to me loving the sitcom genre as a whole. So this show definitely makes me nostalgic in a way. However, this show clearly stands out from other shows of this particular format because of the over-arching concept implied in the shows title. The writers are experts at telling a massive, 9-season-long story with TONS of tiny details and subplots all coming together beautifully. 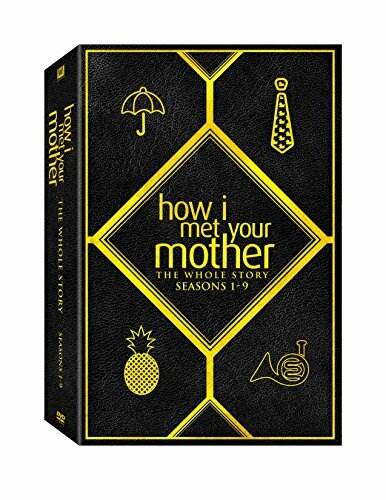 Without trying to reveal any spoilers - I know plenty of fans were upset about the finale, but to me that was the HIMYM twist to pull. The show is constantly pulling you one way and then revealing that you’ve been horribly misdirected…so it makes sense for the finale to do the same. Favorite scene: My favorite scene in this show is actually not funny at all, it’s heartbreaking and it gets me every single time I watch it. I don’t want to spoil anything for anyone who hasn’t watched the show…but if you have watched it, I’m sure you know exactly what scene I’m talking about (it’s that good). I’m a massive Saturday Night Live fan. So when Tina Fey left to produce her own show, I was excited to see what she would come up with. 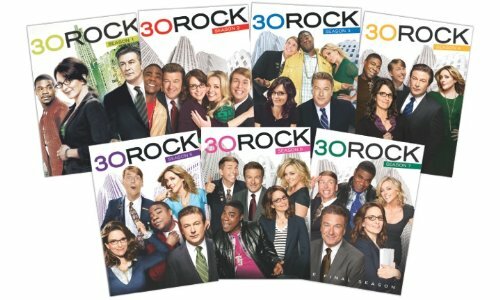 As with everything she does, 30 Rock hit the ball way out of the proverbial park. This show is so funny to me because it is essentially a spoof on being the head writer of SNL and the trials and tribulations that come along with it. Because of this underlying parody, the show takes on new meaning for anyone familiar with SNL or the comedy-writing process in general. So many tiny, clever, society-reflecting jokes make up each episode and the quick-wittedness kills me! The all-star cast and long list of guest stars are guaranteed to make you laugh. Favorite scene: Jack (Alec Baldwin) is pumping himself up to get ready to deliver a speech at a corporate event. He’s in the bathroom, looking in the mirror saying ridiculous things to get ready and doesn’t realize his mic is on and everyone can hear him. While I find lots of sitcoms absolutely hilarious, only a few scenes have been able to make me literally burst out laughing. I missed the scene after this and had to rewind because I was crying tears of laughter. 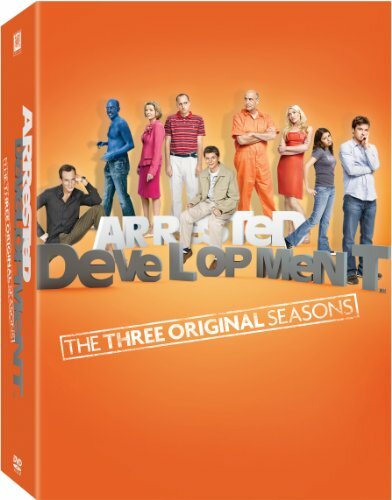 I mentioned earlier that The Office is the second smartest show on television…Arrested Development is the first. It’s hard to explain in words the insane amount of comedy genius the writers of this show possess. The narration by Ron Howard is an absolute necessity to tie the many story arcs together cohesively. I highly recommend watching this show from the very beginning so you don’t miss out on some of the best inside jokes and callbacks that frequently pop up throughout. My absolute favorite parts of this show are the long, drawn-out crazy misunderstandings that the characters find themselves in. It’s doubly funny because you can see these misunderstandings forming and watch the oblivious characters continue to be clueless. Watching six twentysomethings go through the ups and downs of life in the Big Apple has never been so entertaining. While I realize this show holds a special place in the hearts of everyone born in the 80s, I still fell in love with this show even though I was able to watch it beginning-to-end almost ten years after it went off the air. This proves the timelessness of the writing and jokes (maybe not so much the fashion styles though, huh?). Nick at Nite still airs reruns of Friends almost every single night of the week. 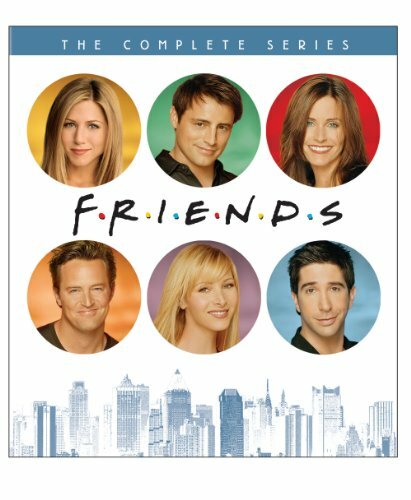 Not many shows had the impact on society and pop culture that Friends did. Favorite scene: Not so much a scene as a central theme in a character, but Chandler’s extremely sarcastic insults make me laugh every single time. Credit: High-Right.comIf Arrested Development is the smartest television show in recent years, Louie is the most honest. I love Louie because it feels like I'm gaining life experience from it…something that I’m not sure I’ve experienced watching any other show. The best word to describe Louie would be “real”. Tons of shows (sitcoms in particular) exaggerate life so it can appear too easy or too perfect. Louie does just the opposite and it’s refreshing but simultaneously hilarious and a little “too close for comfort”. 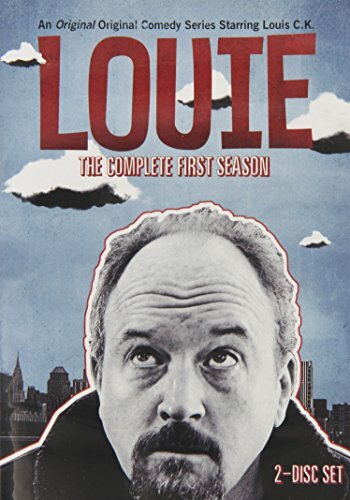 The only reason Louie doesn’t take the number 1 spot on this list is because it morphs between comedy and drama fluidly, rather than being what you would call a true “sitcom”. Favorite scene: All of C.K.’s stand-up routines that are scattered throughout the show. They mostly reflect his reactions to being a human being in today’s culture and they’re easy to relate to because of his blunt honesty that everyone thinks…but no one says aloud. Having just wrapped up its 7th and final season, Parks and Recreation centers around the Parks department in the small (fictional) town of Pawnee, IN. While the show’s first season was considered by most to be a bust, the creators consider it more of an extended pilot (it was only 6 episodes long). When I first watched Parks, I didn’t really get into it until the end of Season 2. However, once I finished the show and had a better handle on who each character was, I re-watched the earlier seasons and found absolute hilarity awaiting me. This show is a pure joy to watch. There are lessons to be taken away from every single character (not just Ron Swanson!) and multiple layers of jokes to be discovered only with multiple viewings. Parks and Recreation takes the top spot on this list not only because of its humor, but the fact that I (and many others) had a connection to the show and its characters. 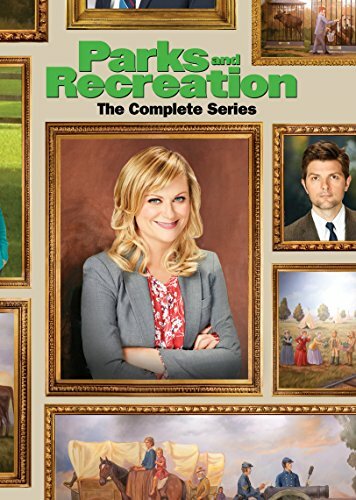 Even though the show is over now, I take comfort in the fact that the re-watchability of Parks is the highest of any sitcom on television. Favorite scene: Ben (Adam Scott) gets pranked by his coworkers and decides to prank them back. However, he is extremely nervous and uncomfortable and goes way over the top to stage his own death by shooting. He calls the prank off and tries to come clean but the fake gunshots go off anyway. The resulting shocked looks on everyone’s face are priceless. The sitcom Friends always make my day. They're hilarious. Friends is one of the best examples of a sitcom that will simultaneously make you cry tears of laughter and sadness. The final shot of the series was so tough! Friends should definitely be on the list. I miss it. And I agree with Arrested Development plus The Office. I haven't seen several of the others. Thoughtful list!